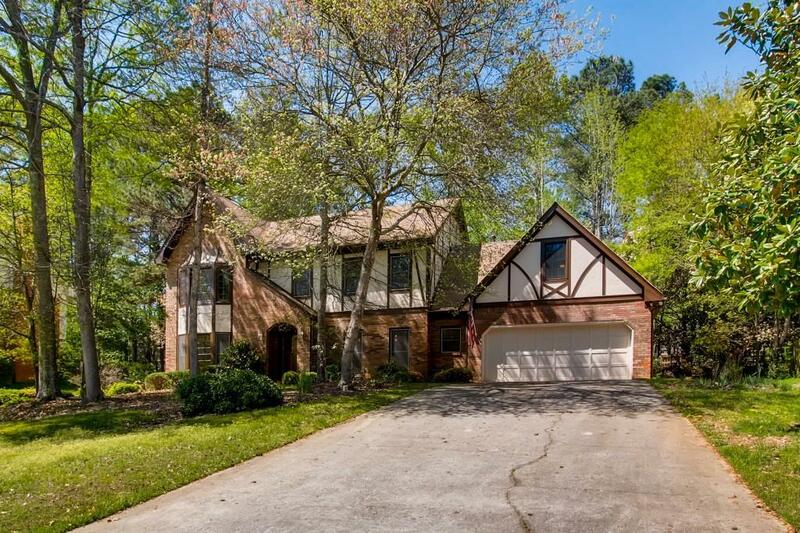 Wonderful home in sought after Peachtree Station. Freshly painted interior with new carpet. Foyer leads to large formal living room and banquet sized dining room. Rich paneled family room w/brick fireplace & built-ins. Spacious kitchen w/wine storage, breakfast bar, desk & large eating area. Huge master suite w/deep trey ceiilng. Three large secondary bedrooms and 2 full baths on upper level. Large unfinished basement ready to finish with your personal touches. Screened porch perfect for relaxing. Wonderful S/T family n'borhood. Great location to schools and shopping. Directions: 141 North (L) On Peachtree Corners Circle (R) On West Jones Bridge Road (L) On Colbert. Take 2nd Left On Clinchfield Trail. Home Is Ont He Right.